Welcome to Osborne Photography: The home page slide show features an image from each photographic gallery. To pause the slide show for extended viewing, simply right click and move the disclaimer box. Individual galleries will display images specific to that category. 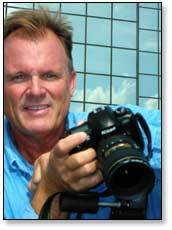 Wade Osborne has 30 years of experience in the vast field of photography and is a member of American Society of Media Photographers and National Press Photographers Association member. 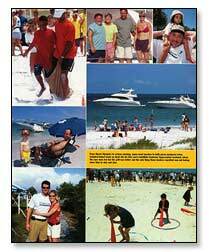 Osborne is a nationally published photographer and writer based in Tampa, Florida. He photographs boats, architecture, industrial, environmental, products, food, people, events, editorial and writes about the great outdoors. Chances are you’ve already read or seen his work on mall food court menu boards, in major trade publications, consumer magazines, newspapers, advertising campaigns and print collateral. Osborne, an avid angler, writes for various regional and national magazines. Over the years, he’s photographed and written for major sports and recreational publications about fishing, boating, travel and the outdoors lifestyle. Featured in the Articles Gallery are tear sheets sampling his work. Osborne’s been around water his whole life and loves the marine environment. When he designed his custom Sheaffer Boat, he did so to facilitate marine photography. He installed a full tower with duel controls, so he can operate the boat and photograph while on plane from an elevated position to capture breathtaking moving images. The spacious 24 foot open deck offers ample work space to accommodate models, props, art directors and clients. Perspective control: Osborne uses tilt/shift lenses to remove the "convergent line" effect even when shooting with DSLR. Without them, buildings will appear as if the left and right sides of the building are converging (halfway between a triangle and a rectangle). A shift lens will actually remove these converging lines and make it so that the building looks like it does through the naked eye. In addition, tilt/shift lenses can manipulate the picture for incredible depth of field or sharper focus. Overall, these lenses are essential for architectural and landscape photography. Osborne shoots digitally and accommodates varying budgets. Turnaround time on many assignments is within 24 hours, if shot in the Tampa Bay area. In extreme cases, he can shoot and deliver on the same day. Osborne truly enjoys what he does and it shows in his work. When he is on assignment, you can be assured you are working with a no-nonsense professional. Yet, his engaging personality brings life to every photo session. His pursuit of excellence is always without compromise. Osborne's philosophy: Always exceed your client’s expectations. This website’s images continually change. If you don't see exactly what you're looking for call 813.286.3474 or send me an e-mail.